MOSCOW (Sputnik) - The Venezuelan government will redenominate the ailing national currency, dubbed the bolivar fuerte (Spanish: ''strong'' bolivar), starting from Monday amid hyperinflation. The new Venezuelan currency, the bolivar soberano (sovereign bolivar), will start circulating on August 20 and will be tied to the Petro, an oil-backed digital cryptocurrency launched by Caracas in February. 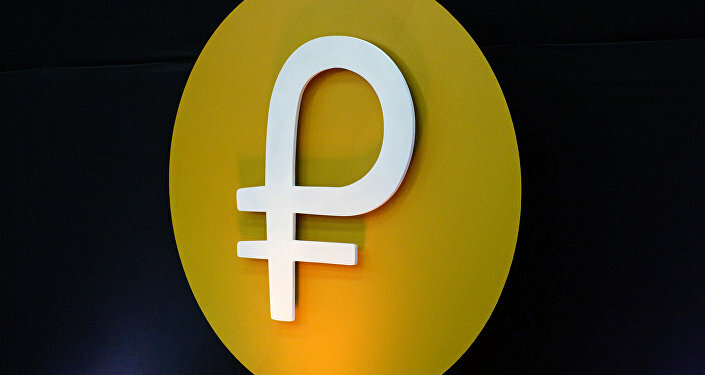 The foreign exchange rate of the Petro cryptocurrency would be fixed at $60, or 3,600 redenominated bolivars. Moreover, five zeros would be knocked off the national currency, which traded 5.9 million to $1 on Friday. Venezuela has been struggling with political and economic fallout of a global slump in oil prices and US sanctions after Washington blocked its investors from buying Venezuelan debt. It also prohibited dealing in Venezuelan digital currencies. The oil production in Venezuela has declined over the past few months due to the economic crisis, as well as the US sanctions, which resulted in government's revenues' drop, soaring inflation and severe shortage of goods in the country. In March, US President Donald Trump signed an executive order to prevent anyone in the United States from using Venezuela's new digital currency. The executive order said Venezuelan President Nicolas Maduro issued the digital currency in an attempt to get around US sanctions. Additionally, the US Department of Treasury included four current and former Venezuelan officials on the sanctions list. The difficult economic situation in Venezuela has led to accelerated inflation, and the Venezuelan bolivar exchange rate collapsed on the black market. In July, the annual inflation rate reached 82,766 percent. The International Monetary Fund (IMF) said it expected earlier inflation in Venezuela to hit 1 million percent this year.